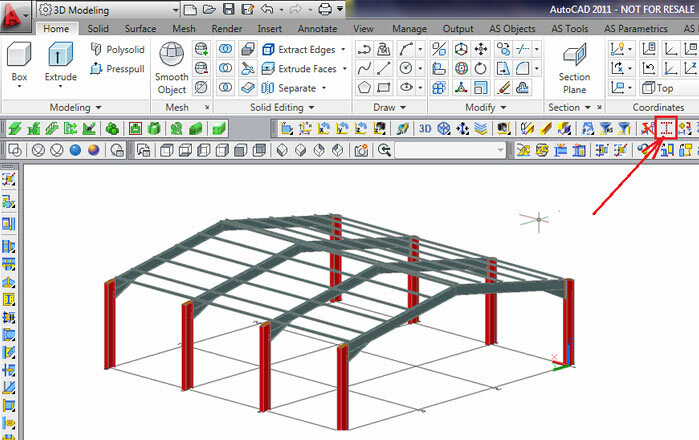 In Advance Steel there are many options to create material lists with elements of the model. 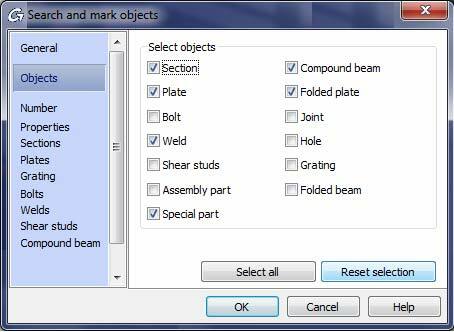 This FAQ presents how material lists with selected elements are created. The example will be a list of elements plated with zinc. First, define in the model, the coating for all elements relevant to the list. 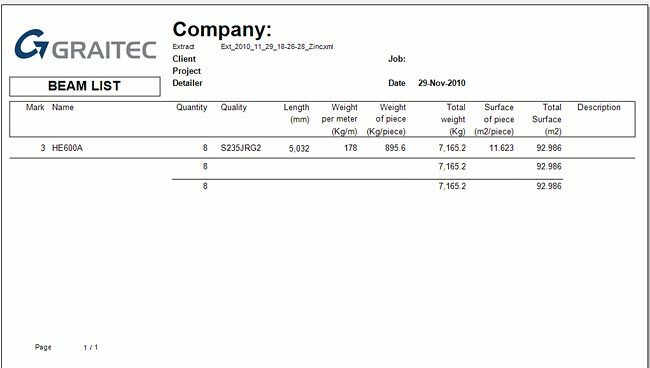 Create in the BOM Editor a material list in which the coating is listed. Next, number the model and save it. 1. Using the Advance Steel "Search filter", it is very easy to select individual elements in the model. Click the "Search filter" button on the Advance Standard toolbar. 2. In the opening menu you can refine your search. In this case you will search for "complete drawing" and "mark new". On the "Objects" tab select all elements that can be plated with zinc. On the "Properties" tab select the desired coating mode ("Zinc") and begin the search by clicking "OK". 3. In the model, the elements with "Zinc" coating mode are marked with red. By clicking "Select all marked objects" the elements are selected. 4. Next, by clicking "Create lists", you can create an extract containing only the selected elements. 5. 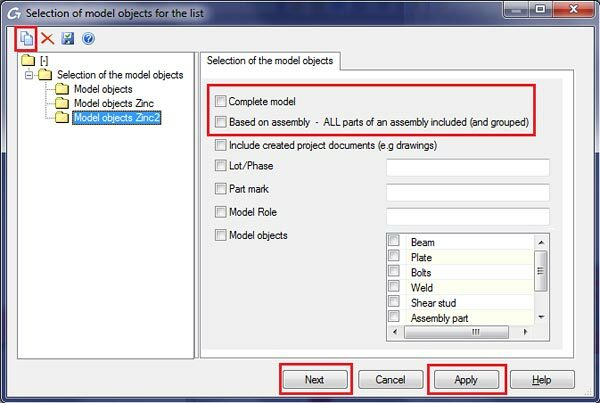 Make sure that in "Selection of the model objects" the "Complete model" and "Based on assembly" options are not selected. If this is not possible, then a new model selection must be created using the corresponding button (on the upper left part). Then, click "Apply" and "Next". 6. In the next window, add a descriptor in the name of the extract about the contained elements. Next, click "Create list" and the list editor will open. 7. Select the desired list template and click "Use". In the next window select the newly created extract and a list will appear in which only the elements plated with zinc are listed.